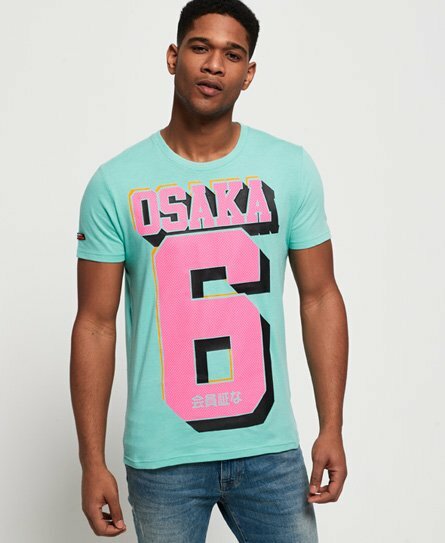 Superdry men's Osaka 3D mid weight t-shirt. Up your t-shirt game this season with the Osaka 3D mid weight t-shirt, featuring a crew neck, short sleeves and a large Superdry graphic on the chest in a cracked effect finish. This t-shirt is completed with a logo tab on one sleeve.